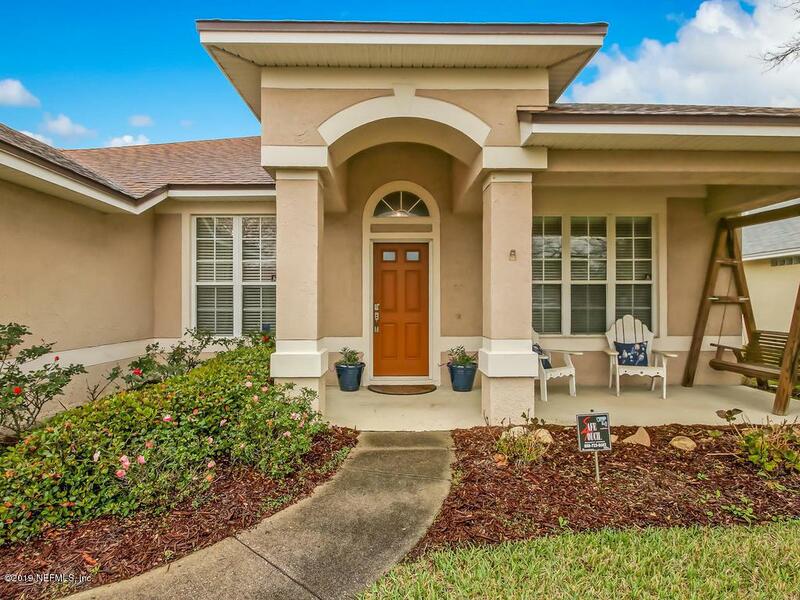 Lovely 4 bedroom, concrete block and stucco home in the convenient and popular Johns Creek community. The community park and pool are just around the corner and the top rated Chets Creek Elementary School is a walkable 3 blocks! 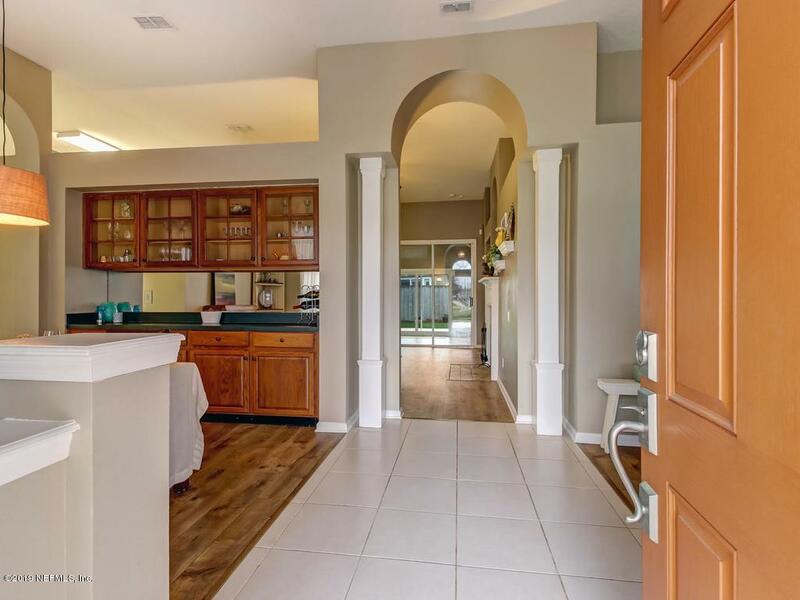 This home features wood look laminate floors and ceramic tile throughout the house (no carpet! 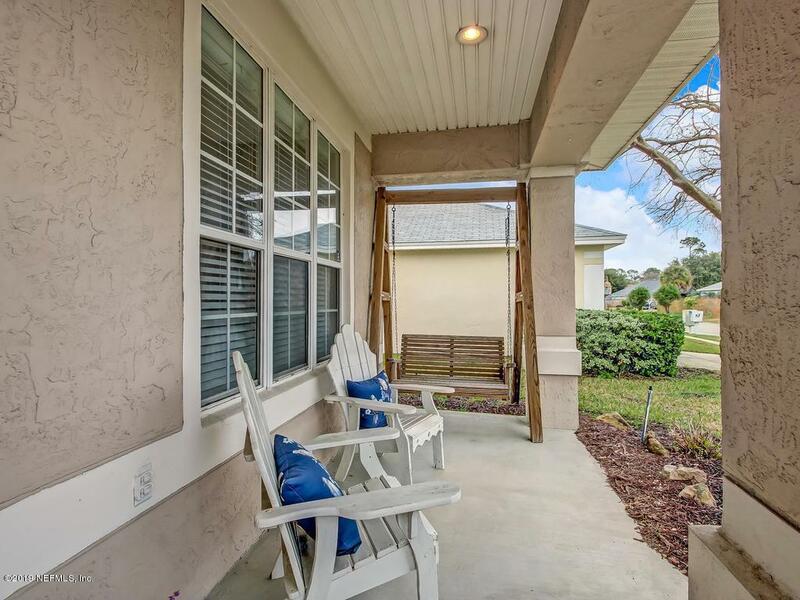 ), a 16 SEER HVAC installed 10/18, roof new in 2014, new front and rear slider Pella doors, spacious pavered pergola patio, updated master shower, built in oak cabinets in the dining room and enclosed lanai. 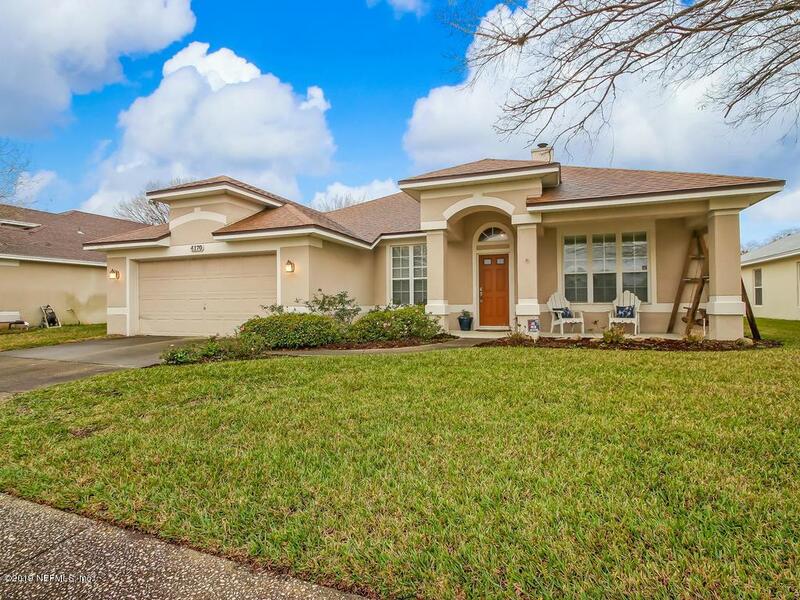 This home is truly move-in ready for the new buyer!